KIEV, Ukraine -- Ukraine may have to continue paying a relatively high price for imported Russian gas in 2012, Prime Minister Mykola Azarov was quoted as saying on Tuesday, after Moscow indicated that talks on a new supply deal were far from conclusion. 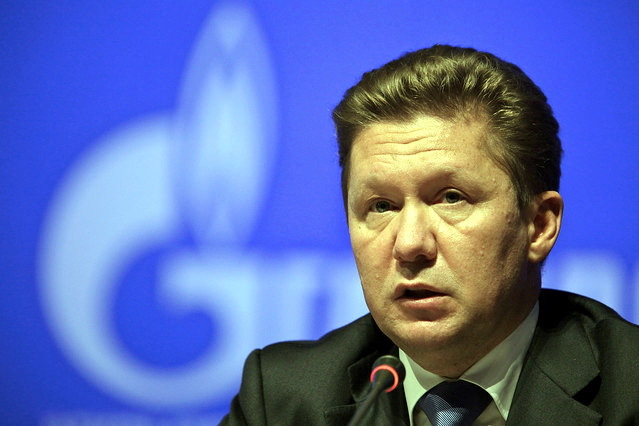 Gazprom Chief Executive Alexei Miller does not for see a new gas deal with Ukraine, in the near future. Gazprom Chief Executive Alexei Miller said this week a new deal was unlikely to be struck this month as Ukrainian officials had hoped. Ukraine's government has put off the 2012 budget approval hoping for a new deal with Russia but Azarov said on Tuesday the document will be ready by next week. "I think we will review it by Monday and submit it to the parliament next week," Interfax news agency quoted Azarov as saying. Asked about gas price forecast he said: "We will see later what the price is... If we have to pay $400 (per thousand cubic metres) we will pay, we have no choice." A week earlier, Ukraine's Energy Ministry said it expected to seal a deal with Russia by the end of this month. Ukraine depends heavily on Russian gas imports and the government subsidises gas and heating prices for households, a policy which contributes significantly to budget deficit and which the International Monetary Fund wants Kiev to abandon. Analysts say losses of state energy firm Naftogaz, incurred mostly through such subsidies, could reach $2.3 billion or 1.4 percent of gross domestic product this year. Facing payment arrears in addition to losses, Naftogaz borrowed $550 million from Gazprom's banking arm to pay for supplies last month and has since negotiated a longer delay for monthly payments. Under its 2010 agreement with the IMF Ukraine pledged to balance Naftogaz' budget this year by eliminating energy subsidies. But the government has kept them in place, prompting the Fund to halt lending. Observers say eliminating the subsidies would mean political suicide for President Viktor Yanukovich's Party of the Regions as it prepares for October 2012 parliamentary elections. But sticking to the costly policy means Ukraine's budget deficit will be higher than previously planned. According to officials, the price of Russian gas will rise to $485 per thousand cubic metres in the first quarter of 2012 from about $400 today. A higher import bill would also put more pressure on the hryvnia which remains pegged at around 8.0 per dollar. The central bank has spent about $6 billion on supporting the currency in the last three months.